CasinoInsider.com – Learn from the Industry Experts! CasinoInsider.com takes pride in providing the most thorough guides to casino games on the internet. Our experts have over 25 years of experience in the industry and have collectively combined their knowledge to research and publis the best guides available. Whether you’re just starting out or an experienced gambler, you’ll find plenty to learn at CasinoInsider.com. IGT Renews Deal With Kansas Lottery–Is Sports Betting Next? We’re here to help you through the complicated process of choosing which casino game to play. Free Play Casinos or Real Money Casinos? One of the best things about online casinos is their ability to meet the ever-changing needs of all player type. This includes various financial needs. Players can find many free play casinos online, but you’ll also find a ridiculous number of real money online casinos to choose from, too. And most casinos offer both free play and real money variations for each game. When you’re looking for a casino, you’ll want to consider whether you only want to play free games, want to focus on real money betting, or want the option to switch between free play and real money gameplay with the same online casino. This will help you choose a casino. You should educate yourself on the benefits that each game casino offers. That’s the only way to get the most out of your experience. For example, blackjack offers you the chance to make decisions that have an effect on your outcome. That’s a benefit to that game that you won’t get playing slot machines. On the other hand, slot machines offer you the opportunity to win big jackpots without having to make decisions. A free play online casino allows you to play free casino games. Such casinos offer an assortment of gaming options. When you join a “free play only” casino, you’ll never need to deposit funds or link bank accounts or credit cards; you can only play for free. You also won’t be able to win any money at such a casino. At a free-play-only casino, you’ll get credits instead of money to play with. These credits are worthless in the real world; they’re just a way to keep score. Think of them as being like Monopoly money. You usually get a specific number of credits when you register. 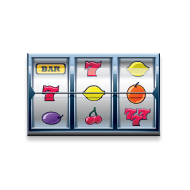 You can usually replenish these credits at no cost at any time, although that might vary based on the casino’s policies. You might have wait for a set time, after which, your account balance will be refreshed. You might be able to complete a survey or other task to earn more credits. The casino gets affiliate income from your efforts. You might be able to buy additional credits. We don’t see much point in this, but some people do, apparently. If you know that you’re not going to want to play real money games, these free-play-only casinos might be perfect for you. A real money online casino offers you the opportunity to play games for real money. If you win, you can withdraw real money. To play real money online casino games, you must deposit money into your account using one of the accepted payment methods at the casino. 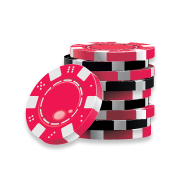 Many real money casinos accept payments from several e-wallet companies, so players never should give their financial information to the casinos themselves. You can transfer real cash through these services and withdraw your winnings. Taking advantage of these options allows you instant access to the games and your funds. Best payment processing method for stronger anonymity: Bitcoin. Best payment processing method for other electronic wallet options: Instadebit, Skrill, Entropay, Neteller, PaySafeCard. Best payment processing method for more wide-ranging payment capacity: PayPal. Best payment processing method for real credit cards: MasterCard, VISA, American Express. Once you’ve deposited money and funded your account, you’ll be able to play real money games and win real money. You can find games that will fit any budget, too. The internet has room for casual players, high rollers, and everything in between. When you play real money games at an online casino make sure you understand the rules of the specific casino and the specific game you’re playing. Keep in mind that gambling requires risk. If you lose, you don’t get a refund. Don’t ask for one. You should have a solid money management plan in place. You should never risk money you can’t afford to lose. If you’re risking more money than you can afford to lose, you’ll be too stressed to have fun. Discipline and self-control are the factors you need to cultivate if you’re going to be an online gambler. We’re not talking about insignificant amounts of money, either. Most online casinos have progressive jackpot games for you to play. Some online gamblers have even become millionaires. Casinos also offer bonuses so you get free money to play with. These bonuses are based on how much money you deposit, and they can run into the thousands of dollars. For example, if you deposit $5000 at an online casino that offers a 100% matching bonus up to $5000, you have a bankroll of $10,000 to play with. And that’s not an unusual signup bonus. Most casinos also offering ongoing promotions to keep their players coming back for more. But these promotions come with strings attached–usually a specified minimum amount of gambling you’re required to do before cashing out. Read the terms and conditions before signing up. You can’t WIN real money unless you risk losing real money. Many people think that winning money is the entire point of gambling. If you can’t win real money, why bother? Other benefits include the bonus promotions the casinos run. Unless you’re playing for real money, you’re not eligible for the cash incentives offered to real money player. And online casinos also offer incentives like rebates and gifts–just like traditional, land-based casinos. But the only way to be eligible for those is to play for real money. It’s impossible to lose money at the “free play” games. You might have to wait an arbitrary time for your account balance to be refreshed. You might need to complete a survey or a task to earn more credits. You might have the option to buy additional credits. If you’re going to do that, you should probably just play for real money, though–at least you’ll have a chance of winning some money. When you’re playing for play-money, you don’t have to worry about managing your money, because you don’t have any money at risk. It’s pure entertainment. You can just play until you’re bored and quit. In fact, at most casinos, you can play for free OR real money. It’s an unusual casino that only offers one or the other. If you’re going to play for real money, you need to understand what your goals are. If you’re hoping to win a life-changing jackpot, it’s not going to happen at the blackjack or roulette tables. But it might happen on the progressive slots games. 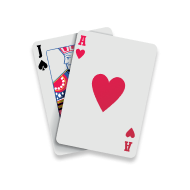 On the other hand, if you want some influence over the outcomes, and you want to lose as little money as possible, you should opt for a skill game like blackjack. The house still has an edge, but if you play well, that mathematical edge is small. Online casinos offer distinct benefits over their land-based cousins, too. Many of the slot machine games available at online casinos are proprietary, meaning you won’t find them in your local casino. You don’t have to socialize with other gamblers if you’re playing from home, which is a big plus for introverts. And you don’t have to worry about what you’re going to wear. And, of course, if you don’t live within a reasonable driving distance of a casino, you’ll save money on your commute. When is it best to play free play online casinos? If you don’t want to risk any money and just kill time, you should play free, “play-money” casinos. These casinos are all about entertainment value. Keep in mind, though, that all websites want to make money. Play money only casinos usually serve advertising. Don’t think you’re immune to advertising, by the way. Behavioral science says otherwise. Also, if you’re learning a new game, the free version is the best way to get started. That way you won’t lose money because of dumb mistakes that could have been avoided. When is it best to play real money online casinos? If you have money you don’t need for other purposes, and you want to risk it with the chance of winning real money, then you should opt toward a real money online casino. No matter what kind of gambling tickles your fancy, you’ll find some version of it at a real money casino on the internet. You can now even find online casinos that use real live dealers and webcams. It’s rare to find an online casino with software that cheats, but it happens. 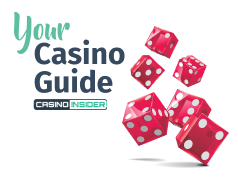 Stick with the casinos recommended on this site, and you won’t have to worry about that. If you’re a play-money specialist, look for a casino which has a lot of games to offer–especially games that you like to play. For example, a slots-only play-money casino isn’t a good choice if your game is blackjack or baccarat. Since the ONLY thing you’re getting out of the deal is entertainment, you should make darn sure that the site offers games you find entertaining. Choosing a real money casino is more of a headache. After all, you’re risking actual cash, not just killing time. You need to make sure you can withdraw any money you don’t lose–and any money you might win. Most real money casinos don’t cheat at their games, but you’ll find some casinos that make it hard for you to cash out–which is even worse. Your best bet is to spend some time doing some research and due diligence. You should look for contact information and an about page on any casino site you’re considering. If that information is hard to find, be leery of putting money into that site. 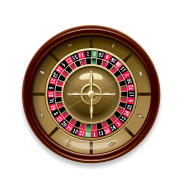 You should also look for some obvious signs that the site is committed to responsible gambling. For example, you should find links to organizations that help problem gamblers. You should be able to find the age limit for the casino. Spend some time reading reviews at websites like ours. Keep in mind that some sites are nothing more than shills for these casinos, though–look for a site that offers both pros and cons for any casino you’re considering. If you’re not sure you can trust the reviews on a specific casino guide, spend some time on player forums reading about what other experiences people have had at the casino in question. We always try contacting customer service with a couple of question before registering, too. We want to make sure we’re going to be happy with the service we’re going to get if we run into a problem. This trial question is like a sneak preview of what we can expect when running into a problem at a casino where we’re risking real cash. Free Play or Real Money Casinos: Which to Choose? You can play free casino games or real money casino games at almost any online casino that offers real money games. Some casinos only offer free “play-money” games. You can’t play for real money at those. We think you should choose a casino where you have the option to upgrade to real money play if you want to. Any of the casinos we recommend on this site offer both free games and real money games. If you have a gambling problem, you should probably avoid even the free-money-only sites. They’ll probably just trigger your problem. Otherwise, have fun but be careful.